Did you forget anything, or are you craving something new? How about something to take to those back home? Don’t worry, we have you covered. Located inside Siegfried & Roy's Secret Garden and Dolphin Habitat, the Dolphin Shop is a fun and educational store offering children's books, toys, plush animals, and logo apparel, as well as a selection of fashion logo items for adults. Walk into the Casino and turn right just past Lobby Bar through the Atrium. Turn right past Heritage Steak towards OTORO. Turn left and walk through the Casino Floor to Revolution lounge. Turn left and continue through Retail Promenade to Blizz. Turn left and continue out the doors to the pool.Turn right to Secret Garden and Dolphin Habitat. Continue straight and walk down the stairs and past the Dolphin Bar. Dolphin Shop Store will be on your right. Enter the resort from Las Vegas Boulevard. Walk through two bronze mermaid statues towards the Atrium. Turn right past Heritage Steak towards OTORO. Turn left and walk through the Casino Floor to Revolution lounge. Turn left and continue through Retail Promenade to Blizz. Turn left and continue out the doors to the pool.Turn right to Secret Garden and Dolphin Habitat. Continue straight and walk down the stairs and past the Dolphin Bar. Dolphin Shop Store will be on your right. Offering an extensive variety of women's fashions, accessories, jewelry, fragrances and the latest in Mirage logo merchandise. Specialties includes flower arrangements, custom gift baskets, Godiva chocolate and an assortment of wine and cigars. And for your convenience, Essentials carries sundries, snack items, beverages, and newspapers. Walk into the Casino and turn right just past Lobby Bar through the Atrium. Turn right past Heritage Steak towards OTORO. Turn left and walk through the Casino Floor to Revolution lounge. Turn left and then slight right to continue past the Guest Elevator straight to Essentials. Enter the resort from Las Vegas Boulevard. Walk through two bronze mermaid statues towards the Atrium. Turn right past Heritage Steak towards OTORO. Turn left and walk through the Casino Floor to Revolution lounge. Turn left and then slight right to continue past the Guest Elevator straight to Essentials. Offering a variety of souvenirs, gifts, snacks, beverages, and other necessities. Walk into the Casino and walk straight past Carnegie Delicatessen. Turn left towards the South Entrance Walkway just past Starbucks. Essentials II will be on your left. Enter the resort from Las Vegas Boulevard. Turn left and walk straight to Carnegie Delicatessen. Turn left towards the South Entrance Walkway just past Starbucks. Essentials II will be on your left. Tradition, innovation and love are the driving forces behind Karma and Luck's collection of Spiritual Fashion Jewelry and Home Décor. With a carefully selected collection of charms, symbols and icons used in different ancient cultures, Karma and Luck aims to unite cultures and inspire people. Misura is a lifestyle destination for discerning gentlemen with impeccable taste, looking for contemporary fashion on the go. Whether dressing for a business trip or a night around town, men will find a carefully curated collection of apparel, footwear and accessories for every occasion. The store carries an assortment of iconic brands including Hugo Boss, Robert Graham, Tommy Bahama, Vince Camuto, Bugatchi, Fossil, Under Armour, and more. Walk into the Casino and turn right just past Lobby Bar through the Atrium. Turn right past Heritage Steak towards OTORO. Turn left and walk through the Casino Floor to Revolution lounge. Turn left and continue through Retail Promenade past the Art of Music. Misura will be on your left. Enter the resort from Las Vegas Boulevard. Walk through two bronze mermaid statues towards the Atrium. Turn right past Heritage Steak towards OTORO. Turn left and walk through the Casino Floor to Revolution lounge. Turn left and continue through Retail Promenade past the Art of Music. Misura will be on your left. Nectar Bath Treats is a unique and captivating experience offering bakery inspired handmade soap treats. Not only do these treats look unbelievably appetizing, but they also smell impossibly delicious. Their products are fun and whimsical handcrafted pieces of art, made using natural, responsible and high-quality ingredients that are amazing for your skin, making them the perfect gift for the entire family. Click on More Info for Holiday Hours. Nectar Bath Treats is located in the Retail Promenade. Walk into the Casino and turn right just past Lobby Bar through the Atrium. Turn right past Heritage Steak towards OTORO. Turn left and walk through the Casino Floor toward The Still, continuing through the Retail Promenade past Blizz, Nectar is located on the right. Enter the resort from Las Vegas Boulevard. Walk through two bronze mermaid statues towards the Atrium. Turn right past Heritage Steak towards OTORO. Turn left and walk through the Casino Floor toward The Still, continue through Retail Promenade to Blizz, Nectar is located on the right. Come see the latest styles from our ultra-exclusive brands. Work with an expert stylist who will help you find the perfect frame or sunglasses for whatever your mood. Feeling a little rock ‘n’ roll? We’ve got the latest looks from Chrome Hearts. Having a sophisticated moment? Check out the latest collection from Cartier. Try on styles from Tom Ford, DITA, and Lafont– all here at Optica. Your sense of style is impeccable, and we are committed to keeping it that way. Walk into the Casino and turn right just past Lobby Bar through the Atrium. Turn right past Heritage Steak towards OTORO. Turn left and walk through the Casino Floor to Revolution lounge. Turn left and continue through Retail Promenade. Optica will immediately be on your right. Enter the resort from Las Vegas Boulevard. Walk through two bronze mermaid statues towards the Atrium. Turn right past Heritage Steak towards OTORO. Turn left and walk through the Casino Floor to Revolution lounge. Turn left and continue through Retail Promenade. Optica will immediately be on your right. 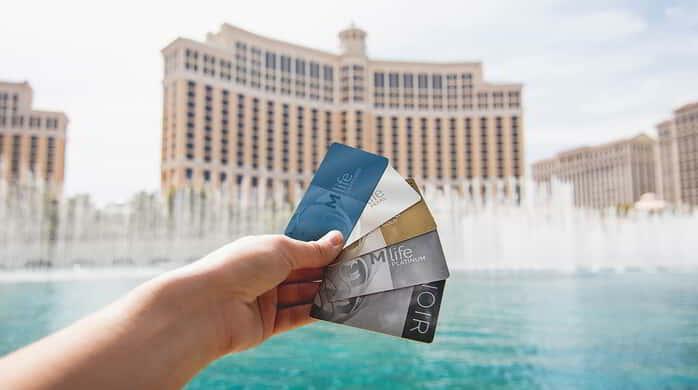 Mirage guests receive $100 Off your purchase when mentioning this. Minimum purchase applies. Some restrictions apply. Walk into the Casino and turn right just past Lobby Bar through the Atrium. Turn right past Heritage Steak towards OTORO. Turn left and walk through the Casino Floor to Revolution lounge. Turn left and continue through Retail Promenade past Starlight Tattoo. Paradiso will be on your right. Enter the resort from Las Vegas Boulevard. Walk through two bronze mermaid statues towards the Atrium. Turn right past Heritage Steak towards OTORO. Turn left and walk through the Casino Floor to Revolution lounge. Turn left and continue through Retail Promenade past Starlight Tattoo. Paradiso will be on your right. Located inside Siegfried & Roy's Secret Garden and Dolphin Habitat, the Secret Garden Store features an exciting assortment of souvenirs, gifts, and logo apparel. Walk into the Casino and turn right just past Lobby Bar through the Atrium. Turn right past Heritage Steak towards OTORO. Turn left and walk through the Casino Floor to Revolution lounge. Turn left and continue through Retail Promenade to Blizz. Turn left and continue out the doors to the pool. Turn right to Secret Garden and Dolphin Habitat. Continue straight and walk down the stairs and past the Dolphin Bar. Secret Garden Store will be on your right. Enter the resort from Las Vegas Boulevard. Walk through two bronze mermaid statues towards the Atrium. Turn right past Heritage Steak towards OTORO. Turn left and walk through the Casino Floor to Revolution lounge. Turn left and continue through Retail Promenade to Blizz. Turn left and continue out the doors to the pool. Turn right to Secret Garden and Dolphin Habitat. Continue straight and walk down the stairs and past the Dolphin Bar. Secret Garden Store will be on your right. If it made you gorgeous, take it with you. Also featuring specialty apparel and unique accessories and gifts. Browse Billion Dollar Brows, Sento, Kerstin Florian, Eminence, Kinerase, Lanell, Green Dragon, Kerastase, Truefitt & Hill, and Clarisonic. Walk into the Casino and turn right just past Lobby Bar through the Atrium. Turn right past Heritage Steak towards OTORO. Turn left and walk through the Casino Floor to Revolution lounge. Turn left and continue through Retail Promenade. The spa and salon will be on your left. Enter the resort from Las Vegas Boulevard. Walk through two bronze mermaid statues towards the Atrium. Turn right past Heritage Steak towards OTORO. Turn left and walk through the Casino Floor to Revolution lounge. Turn left and continue through Retail Promenade. The spa and salon will be on your left. If you want the ultimate tattoo experience, Starlight Tattoo is a vibrant, high-energy studio filled with art and inspiration with a dash of Vegas style. Developed by celebrity tattoo artist Mario Barth, you'll get tattooed by the best artists in the industry. Walk into the Casino and turn right just past Lobby Bar through the Atrium. Turn right past Heritage Steak towards OTORO. Turn left and walk through the Casino Floor to Revolution lounge. Turn left and continue through Retail Promenade past Optica. Starlight Tattoo will be on your right. Enter the resort from Las Vegas Boulevard. Walk through two bronze mermaid statues towards the Atrium. Turn right past Heritage Steak towards OTORO. Turn left and walk through the Casino Floor to Revolution lounge. Turn left and continue through Retail Promenade past Optica. Starlight Tattoo will be on your right. Memorabilia and collectibles from the famous and the influential. If you have favorite heroes (or anti-heroes) from history, TV, movies, music and sports, we have their goods. The Art of Music is located in the Retail Promenade. Walk into the Casino and turn right just past Lobby Bar through the Atrium. Turn right past Heritage Steak towards OTORO. Turn left and walk through the Casino Floor to Revolution lounge. Turn left and continue through Retail Promenade past the Watch boutique. The Art of Music will be on your left. Enter the resort from Las Vegas Boulevard. Walk through two bronze mermaid statues towards the Atrium. Turn right past Heritage Steak towards OTORO. Turn left and walk through the Casino Floor to Revolution lounge. Turn left and continue through Retail Promenade past the Watch Boutique. The Art of Music will be on your left. The Only Licensed Beatles Retail Store! Experience a nostalgic journey through our retro, yet futuristic store to select from an exclusive array of The Beatles™ and Cirque du Soleil® merchandise. Walk into the Casino and turn right just past Lobby Bar through the Atrium. Turn left and walk through the Casino Floor towards the Sports Bar. Turn right and continue past the Poker room. Turn left and and continue straight. LOVE Boutique will be on the right. Enter the resort from Las Vegas Boulevard. Walk through two bronze mermaid statues towards the Atrium. Turn left and walk through the Casino Floor towards the Sports Bar. Turn right and continue past the Poker room. Turn left and and continue straight. LOVE Boutique will be on the right.